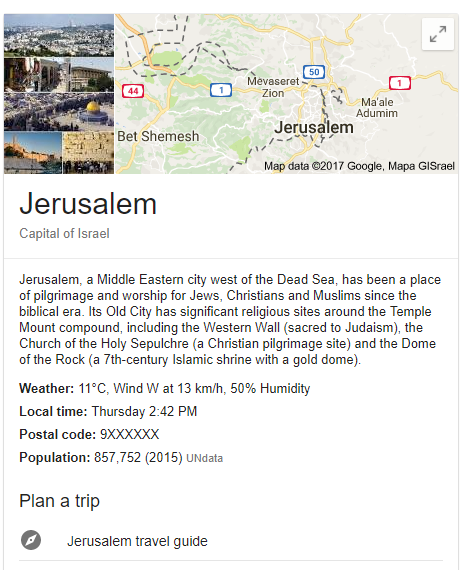 Google and Russia's Yandex on Thursday started showing Jerusalem as Israel's capital on their search engines and maps, not long after President Donald Trump announced that the U.S. recognized the city as the new Israeli capital. The change was quickly noticed by social media users who took to various platforms to voice their discontent with the situation. 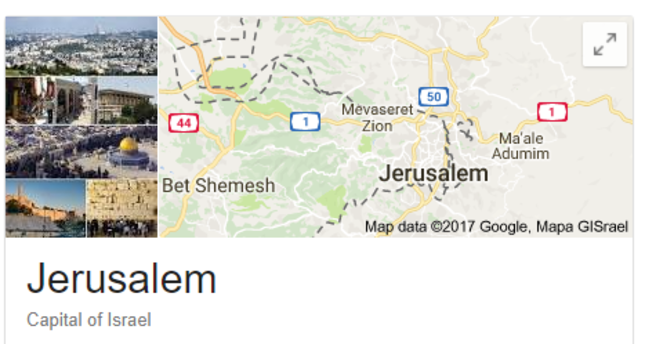 One user even started a petition on change.org to "reject Google's recognition of Jerusalem as Israel's capital." Turkey, the EU and other major international powers have repeatedly voiced deep concern this week about Trump's declaration. His move upends seven decades of U.S. ambiguity on the highly contentious status of the holy city, which is claimed by both Palestinians and Israelis. Trump's announcement sparked a Palestinian general strike and a call for a new "intifada" or uprising. The Israeli military deployed hundreds of more troops to the occupied West Bank. Israel began occupying East Jerusalem, which includes the holy area, during the 1967 Six-Day War. However, the Waqf, a Muslim religious body, manages the Islamic sites in the compound. East Jerusalem is home to the city's most cherished Jewish, Muslim and Christian holy sites, as well as its 330,000 Palestinian residents. The U.S. has never endorsed Israel's claim of sovereignty over any part of Jerusalem and has insisted its status be resolved through Israeli-Palestinian negotiation. The mere consideration of Trump changing the status quo sparked a renewed U.S. security warning Tuesday. The U.S. consulate in Jerusalem ordered its personnel and their families to avoid visiting Jerusalem's Old City or the West Bank and urged American citizens, in general, to avoid places with increased police or military presence. Trump, as a presidential candidate, repeatedly promised to move the U.S. Embassy. However, U.S. leaders have routinely and unceremoniously delayed such a move since President Bill Clinton signed a law in 1995 stipulating that the U.S. must relocate its diplomatic presence to Jerusalem unless the commander-in-chief issues a waiver on national security grounds.